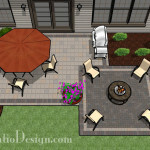 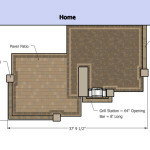 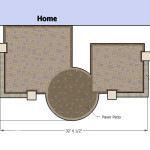 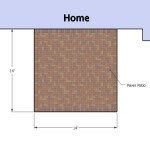 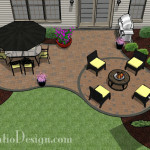 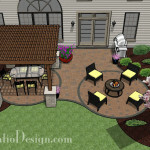 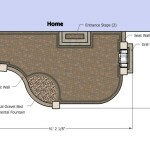 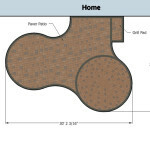 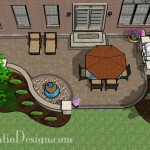 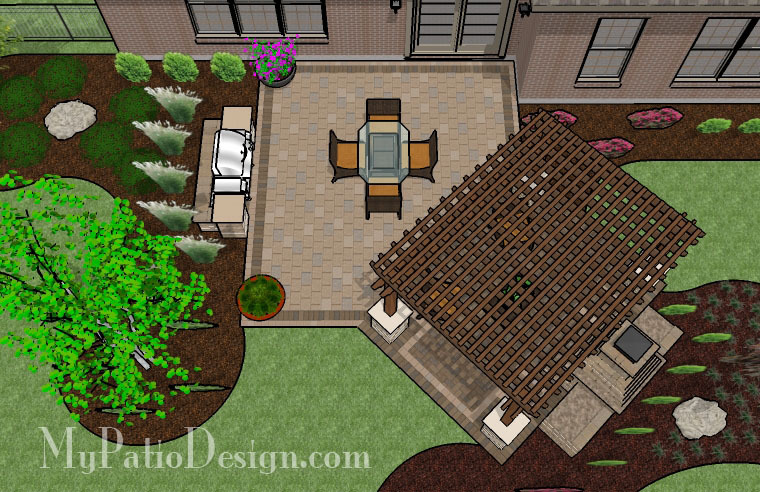 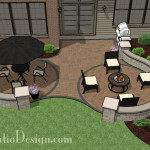 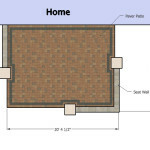 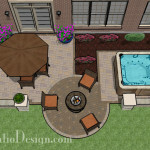 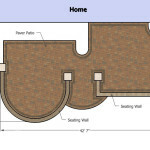 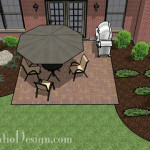 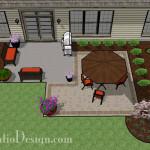 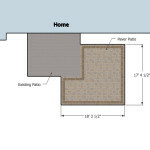 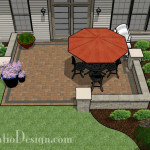 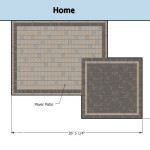 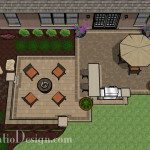 This 553 square foot patio features two overlapping rectangles. 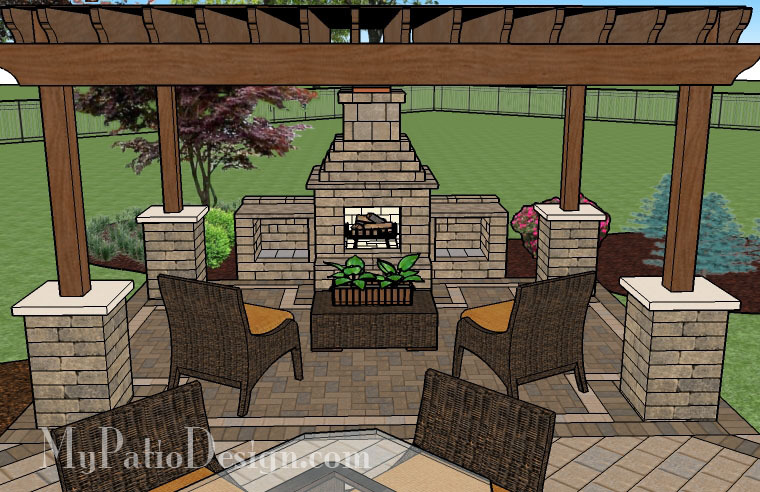 The outermost rectangle include a 10′ tall tumble block fireplace. 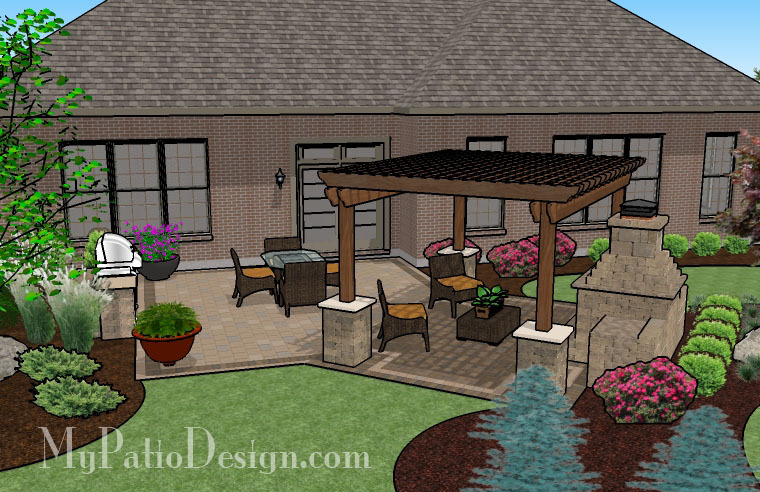 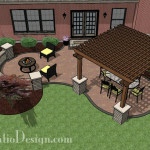 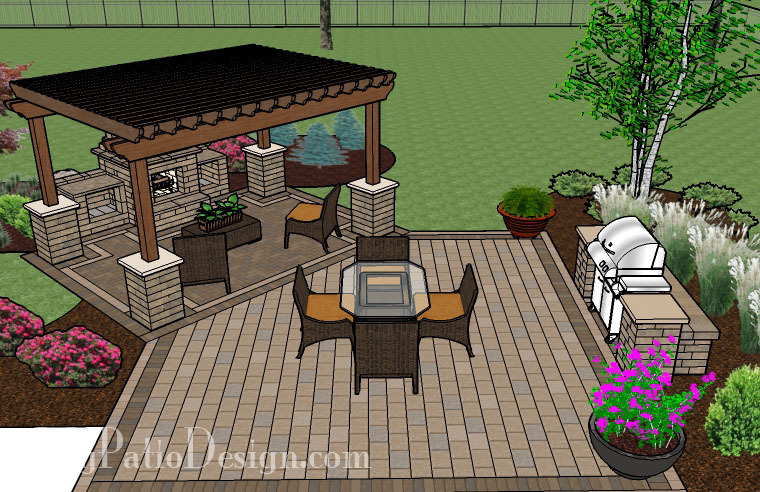 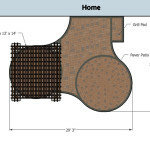 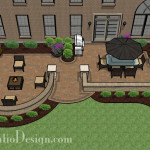 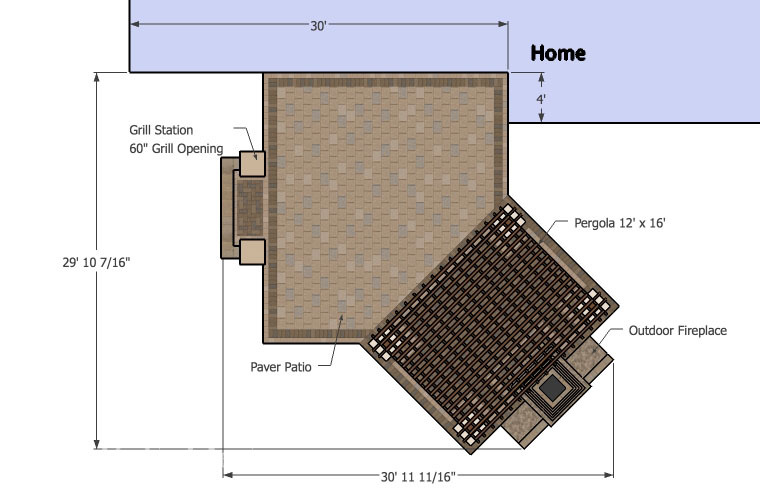 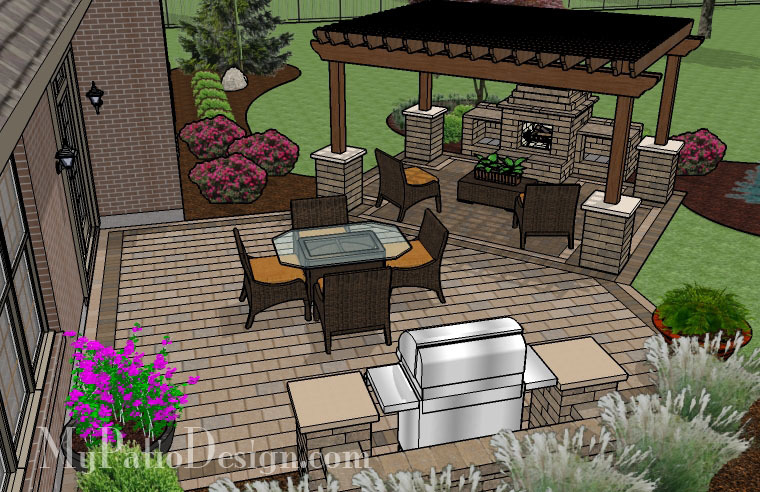 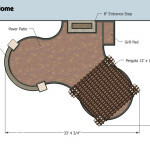 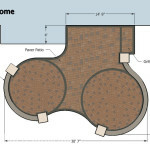 The brick patio in front of the fireplace is covered by a 12′ x 16′ cedar pergola, which is anchored into the ground by 4 tumble block wrapped posts. 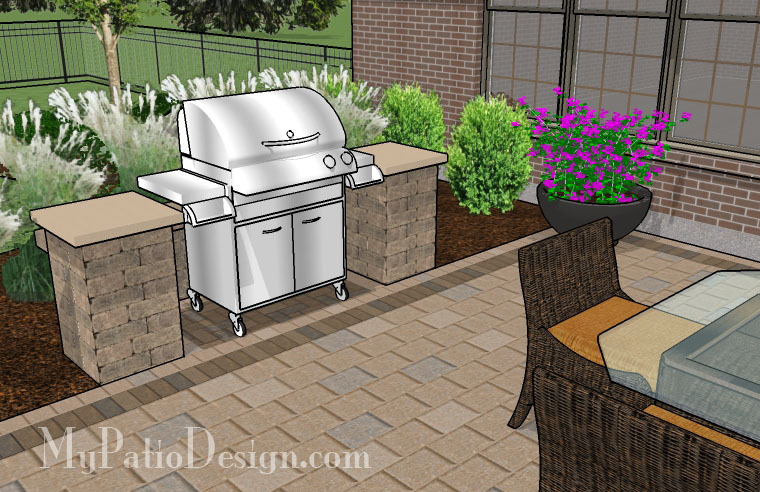 This grill station easily fits 63″ grills.